My my, this has been one busy time for me and it will only get crazier! Guess what happens in 31 days? Well, yeah, that, but something more exciting than Halloween. Yes, there's such a thing! It's Darkspell's Launch into society--WOOOT! I am so excited to get 'im out there I is! I've gone and did something even crazier--I illustrated every chapter in this YA Paranormal Romantic read. Yes, I did. Over 100 hours of drawing while my kids pulled the house together for me. And guess what? Have you checked out my illustrations? There are 7 posted over at my author website so far. 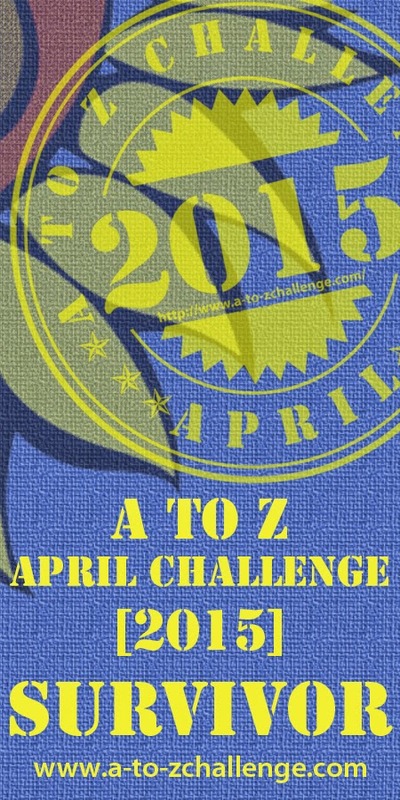 I will post the 8th one tonight midnight EDT--don't miss it! Read the 5 star review by YA Book Babes! Like? Read the first chapter here! Bethany Wiggins has always been an avid reader, but not an avid writer. Seriously!!! She failed ninth grade English because she read novels instead of doing her homework. In high school, she sat alone at lunch and read massive hardback fantasy novels (Tad Williams and Robert Jordan anyone?). It wasn't until the end of her senior year that the other students realized she was reading fiction--not the Bible. Several years ago Bethany's sister dared her to start writing an hour a day until she completed a novel. Bethany wrote a seven-hundred page fantasy novel that she wisely let no one read--but it taught her how to write. 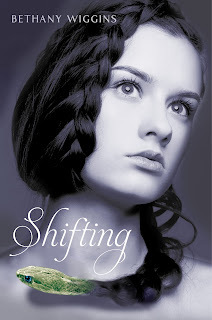 The fifth novel she write, SHIFTING, is being published by Walker Books September 27, 2011. Whoa, this book still knocked all 5 socks off of my feet! I would leave it at that because that's how I felt after the experience of reading this wonderful novel. A lovely princess dares defy the laws of the kingdom by a single act. From there, it's a wild roller coaster ride. No, it's not a pretty princess book. By far, but there is a true love story hidden within these pages. I literally gripped the book and chewed my nails and held my breath as I read. I groaned, angry with the author regarding the huge tangled mess he weaves in the tale, because I am so in love with his characters. It was the hope of justice that drove me. Eliana and Rinan are in love. However, she is destined to become queen of Bariwon, obligated to marry the victor of a competition called the Shoginoc, while Rinan, her royal guardian, is forbidden to marry. Normally they could renounce their titles to be together, but these are not normal times. Abrecan, the malevolent governor of Erd, is determined to win the Shoginoc, thereby placing his easily manipulated son Daimh on Bariwon’s throne. 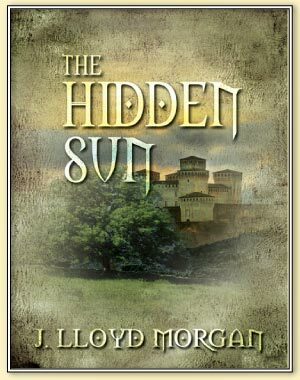 Can Eliana and Rinan find a way to be together without jeopardizing the peace they are so desperately trying to protect? I wish I could let slip more detail, but the story must be tasted with your own eyes. communications and a minor in English. Morgan has lived all over the United States, but now resides in North Carolina with his wife and four daughters. Aside from writing, Morgan is an avid reader. 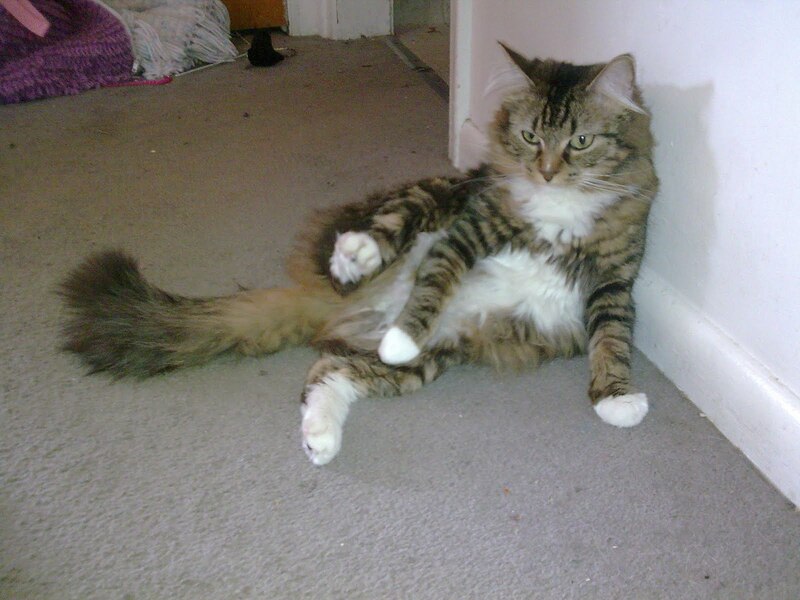 He’s also a huge fan of baseball and enjoys listening to progressive rock. One of his goals is to visit Littledean Hill in England, where his Morgan ancestors are from. First, I'd like to give special recognition to the ingenious Talli Roland for letting me borrow her idea for Darkspell's Launch. Thank you, Talli--you're a doll. 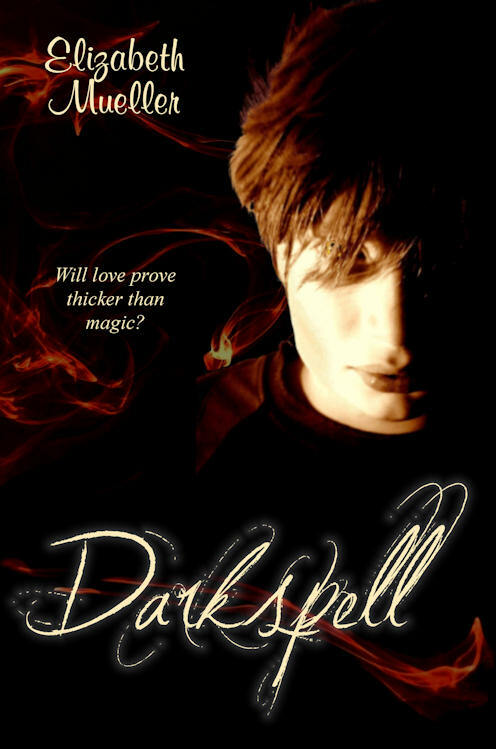 Today is the day where I start Darkspell's official countdown to its much-praised launch date of October 31st! Halloween, can you believe that? So what is involved in this countdown and what makes it so special? I've created an illustration for every chapter, and I will post each consecutive chapter for every day that passes until Halloween. Guess what? When we've hit the 39th chapter, Darkspell will become available to everyone! And the illustration countdown begins today! Darkspell will be available on Amazon as well as other ebook hotspots--yes, Kindle too. Yay! I'd love to christen Darkspell by brewing up an online "If I had all the magic in the world, I'd ..." spookfesta. On Halloween day and just for fun, post a photograph of *what you'd do with your magic, and share with me what you'd do if you discovered that you had all the magic in the world at your fingertips. Create world peace? Turn the ocean into ice cream? Fly to the moon? The universe is the limit--oops, actually, there are no limits. For those who don't have blogs--no sweat. On your Facebook status post 'If I had all the magick in the world, I'd ..." in your status and tag me (@Author Elizabeth Mueller) so I can sneak up on you and add you to my prize list, and as for Twitter, hashtag #darkspell. If you're interested on joining Darkspell Launch Spookfesta, please sign up in the form below -or- leave a comment! On All Hallow's Eve, I will post the links of everyone who has entered so we could enjoy the magical time. All Spookfesters will be entered into my drawing of a $10 Amazon gift certificate, an autographed copy of my Darkspell Poster, and a copy of Darkspell! This is all just for fun, please don't feel pressured--you are welcome to drop by on Halloween and hop around everyone's link just to say hi, but as always, I'm forever grateful for any help and support you offer! I would appreciate any help you can give by spreading the word--thank you! 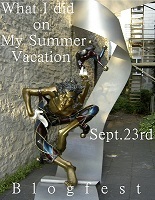 What I did on My Summer Vacation Blogfest! Confession: My kids ran the household for over half the summer! They survived. I survived. Yes, even the house survived! I thought I'd take advantage Michael's fabulous blogfest idea and share how my crazy--I mean literally crazy!--summer went. It was not too long ago that my fabulous publisher loved my Darkspell and I spent most of my summer doing rewrites, edits, typo hunts and here's the sweetest part: illustrating! My kids took care of breakfast, lunch and dinner. They cleaned the house and kept up with their laundry, which they already do, anyway--and they even mowed the lawn!
. . . or is it Just Me? Fantastic news, bloggie friends! I've recently learned that Darkspell releases October 31st! Like my countdown timer on my sidebar near the top? More fantastic news! I've posted a preview of my first chapter! I think I'm high maintenance. There are many times that I want to visit a friend's house and write quietly while the kids sleep for the night. Where we can read our passages and laugh at our characters' antics or bounce ideas off of each other or work through a tangle of writers block. It would be awfully nice to critique with this person and even daydream about the settings we've created. I've longed for a friend who takes writing seriously enough that she wouldn't cancel out because it's only me and her showing up to a meeting, but who would make the most with every quiet moment for writing. How freeing would it be to find someone who shares the passion of writing just a equally as you who would need you just as much as you need her? Imagine the far places you'd travel with this kind of support! Is this something that every writer wants, or is it just me? "On Monday, September 19, post a list of up to ten of the worst movies you’ve ever had the misfortune to watch. Films that just oozed awfulness and featured plot holes so big you could drive a bus through them. Any genre or year, but only theater and straight to video/DVD titles. (Otherwise we’d all list every movie ever made by the SyFy Channel!) Sign up, grab the button, and on September 19, give us the worst! 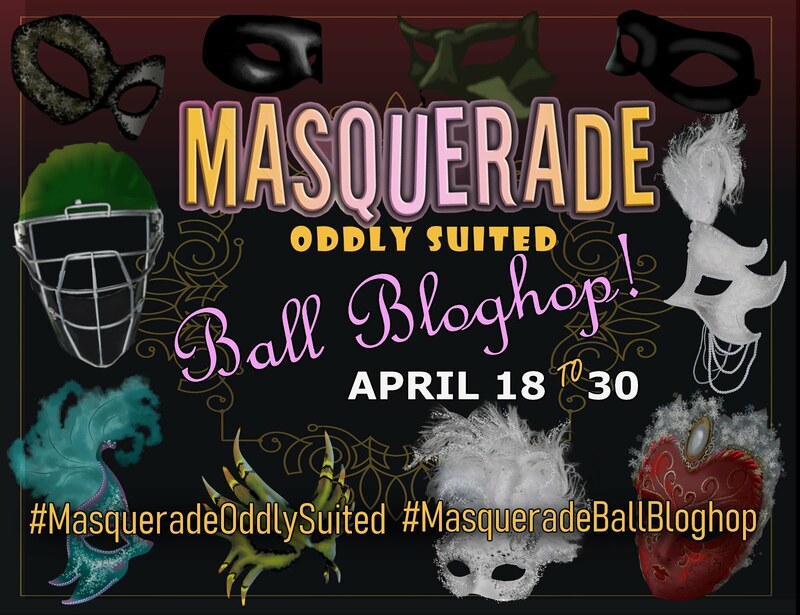 And be sure to visit others participating in the blogfest." I had thought The New World with Colin Farrel would be something sweeping and fantastic, but it sunk like a stone to the bottom of a pond so quickly for me. Call me lame (maybe not so? ), but I can't think of any other movies that I've seen! I'm very selective with what I watch and usually go by friends' recommendations! Can you think of any movies off the top of your head that you thought were cheesy? I'm heading over to see what others have thought about what movies were lame--just click on the button above! Bookmarks = Rocket Science; and a Confession! So it took me over one hour to create my bookmark for Darkspell. It involved my current book cover, Printshop, Picasa and Paint--all in consecutive order. I used a black background with fire and stretched it out the the ruler in Printshop (2"X6"). Then I cut and pasted Darkspell's blurb in my favorite font within the "blue line" (or was it pink?) of a template (it reminds me of a sewing pattern*) provided by NextDayFlyers.com. 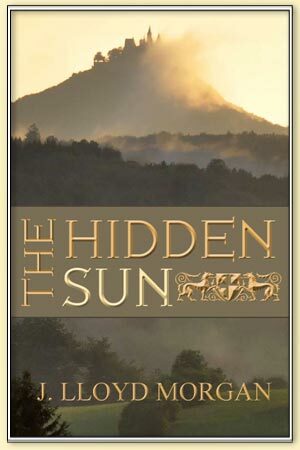 After that, I added my book cover and then my release date for this fall and website address. After I made sure everything fit perfectly, I saved it and opened it in Picasa where I cropped it. In Paint, I touched up any discolorations and sharpened the font where the background flames made certain letters vanish (with the magnifier). I had to do this a few times from step one to get it the way I wanted. Talk about one frustrating night! This is embarrassing for me, but it speaks volumes. Ever since I signed for Darkspell's deal, my hubby assigned the kiddies a dishday for every day of the week. I stopped doing dishes. Then when I started editing and illustrating, my kids made dinner and did the housecleaning. I lost myself in my writing to the point that I felt lost in knowing how to meet my kids' needs come school. I thought and thought about it and had an idea. As strange as it sounds, I had the strongest impression that I need to take back my housecleaning duty from them. The silly thing about this, is that I can feel my motherly confidence blooming again. Do you have bookmarks, how did you figure it out? And do you have a strange confession of your own to share? 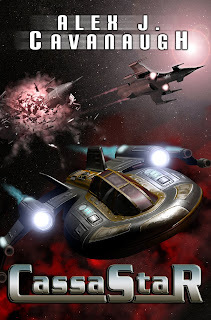 For Alex J. Cavanaugh's Writing that Sequel post, please go here! Just in: If you've thought Darkspell is cool, wait til you read this! 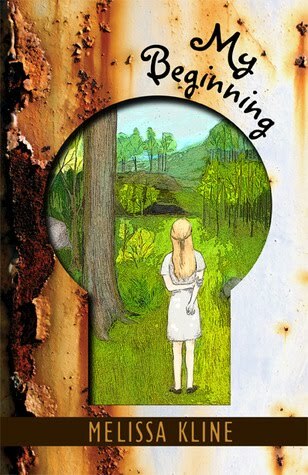 YA Book Babes gives it a 5 star rating! Have you ever posted a question that bothered you so much, and no one really took the time to answer? Welcome to Writer Support 4 U! 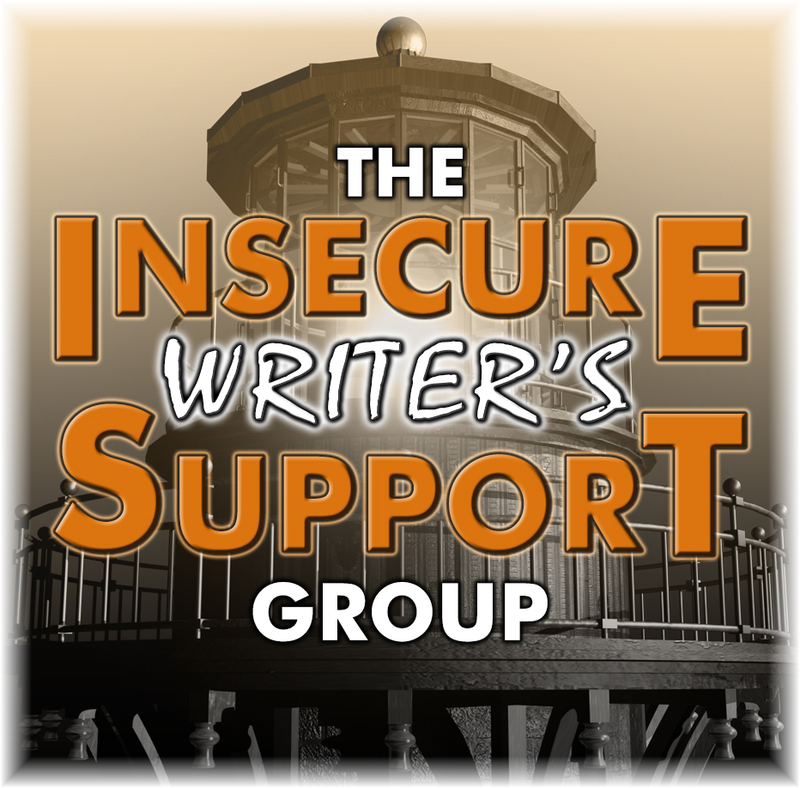 This is a wonderful writerly support group where you WON'T feel like that isolated writer. We will post over at our blogs every 2nd Tuesday of the month and share our goals, updates--anything that makes us writers interesting and fun and even miserable! I chatted live with YA Book Babes and I survived! Yippee! I have had nightmares of stuttering and going, "uh, um, you know..." and being all giggly. Guess what? I wasn't! I'm so proud of myself. There was something else that Sherry, my interviewer, had shared with me: Every one of her book reviewers LOVED Darkspell. I can't wait to see their reviews posted! I am excited to show off Darkspell's first chapter illustration! I'm hoping to get a solid release date soon so I could use my illustrations as a countdown. So, do you have something scary, fun or new to share? To join our support system where we share everything, just click on button above! First, I'd like to thank those who tuned in to show your love for me Saturday during my live chat with YA Book Babes! If you missed it, it's not too late! Okay, now for what you've been waiting for! 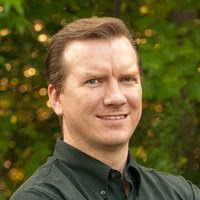 Today the super ninja blogger, Alex J. Cavanaugh, honors my blog with his presence. Like Alex, I had only planned on one book, but I feel that since we are in the age of sequels, it would only make sense to go on! Elizabeth asked if I could provide some tips on writing the second book in a series. Now, I’ve seen a ton of advice online and some really great posts on the subject. So, rather than offer tips, I’ll just describe how I came up with the sequel to CassaStar. Maybe I’ll give you some ideas to pursue. Or at least give you hope! Writing CassaStar was easy. Well, maybe not easy. My original concept sucked and I had to rewrite the story from scratch. I still knew where I wanted to go with it though, and the characters were very clear in my head. The story just flowed. I polished it, the manuscript was accepted, and book released. I was done! All right, where do I begin? The first book ended with Byron about to embark on a new career and journey. I decided to continue with that idea only jump ahead twenty years. Byron would’ve grown and changed during that time. This gave me a fresh start with the character. I recently read a post on themes and realized that influenced my direction as well. The first book’s theme was friendship and trust. The next one needed to echo that theme. Finally, I thought about the question posed by almost every fan - why were there no women in the book? I did have a reason, so not only was an explanation in order, but the second book needed a female character. I then created a strong female lead opposite Byron. From there, the story idea for CassaFire sparked. (Oh hey, bad pun!) The outline went through many changes before I started writing, but once I was several pages into the story, it flowed. Just like the first book! - Who do you want your characters to be when the story begins? - What theme do you want to follow? - What do you readers want? Does that spark any ideas? And if so, please share, because now I have to come up with a third book! Thank you Alex, it is refreshing to hear how other authors go about in their writerly adventures. And I find those 3 questions so thought-provoking; it's a fantastic start to get me going. You're one fabulous friend! So, how do you go about writing sequels? What are your pitfalls? Any advise for those who have the sequel blues? How self-serving is it for me to use the "share buttons" from my own blog to do a shout out? So here's the latest Darkspell ADO! Want to sneak a peak at Alex and Winter? Click on link below for Darkspell's first drawing! Oh, Shame on me! What with school starting and being out of town for a production, I had forgotten to announce the winner for Veiled's giveaway! So more and more eBooks are selling and brick and morter are becoming the thing of the past--like good customer service. Call me old fashioned, but the more we're pushed to electronic craze, the more I resist and want to hold onto the feel of cold paper in my hands! According to a vote I set up on my blog, more people chose a hardcopy book compared to the eBook--but sales are pitching for the e's! Will libraries become the thing of the past? Where will kids go to check out their colorful picture books? I can't imagine little kids being too careful with a send-home e-reader! I hear how authors are worried about about book signings. Is it possible to still retain the old ways of bookdom and hold book signings? "And that’s only going to become more common. By 2015, sales of eBooks in the United States are expected to triple to nearly $3 billion, according to Forrester Research. But the sea change has created a dilemma: what, then, do authors autograph at book signings?" After reading this article, how do you feel about your photograph taken with your fans as your "autograph"? One thing is for sure . . . times are certainly changing! What is your view on eBooks v. printed books? Do not read the map. Yama will forever curse you, but guess what? Chloe’s father had to in order to save Mrs. DeFranc's life, and now it’s up to Chloe to take matters into her own hands as he lies dying. Armed with a medallion that gives her a marvelous ability to communicate with animals, a friend who tasted near death in The jungle wilds and one courageous elephant, the trio set out for the cure. With a deadly poacher on the loose and a race against time, will they save her father's life? This book is wrought with adventure that is at every turn. The characters are charming and believable that had me turn the pages for more. The obstacles they face I find are as exciting as the ones from Indiana Jones! My Heart Longs . . .
What a breathtaking, laborious experience I had Thursday, September 1st. My church is holding a production which will be out in about a year and a half about Christ's Life. I was called in as an extra. Though I was a part of many, I felt the truth standing in the presence of Christ as He hurled tables of coins and scattered the merchants from His temple. I fled with my fellow companions before I could be caught in Christ's wrath. As I paused offset and watched the actor playing Christ standing as he surveyed His Father's house, I felt an overwhelming sense of longing. The hours of preparation to get me into costume and the hours of waiting for the right scenes and the hot, blowing day made it so worth waiting there to be a part of something huge. I made fast friends with everyone I ran across. This sounds silly, but I found the bearded men intimidating! I felt like playing the part and keeping my head down so as to avoid eye-contact. Who knew that being in a huge production would touch my heart to the point that I long to go back? All Ivory knew was the Institution. A place of instruction akin to imprisonment. A place where Mother nurses watched you in case you made a wrong move. A place where awful things happened if you fell in love. It was the same, day in day out. Until Aiden came along . . . 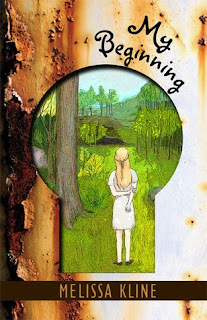 I am amazed at the whipping sharp turns that Melissa Kline takes me through as I read her Young Adult debut novel, My Beginning. Just when I had it figured out, something surprising happens--an event that has me mourning for our courageous Ivory, yet her astounding determination has me biting my nails. The characters are vivid and powerful and so believable. This is a book I can read over again and find it just as exciting as the first! A note for parents: the love scene depicted is written with innocent passion.